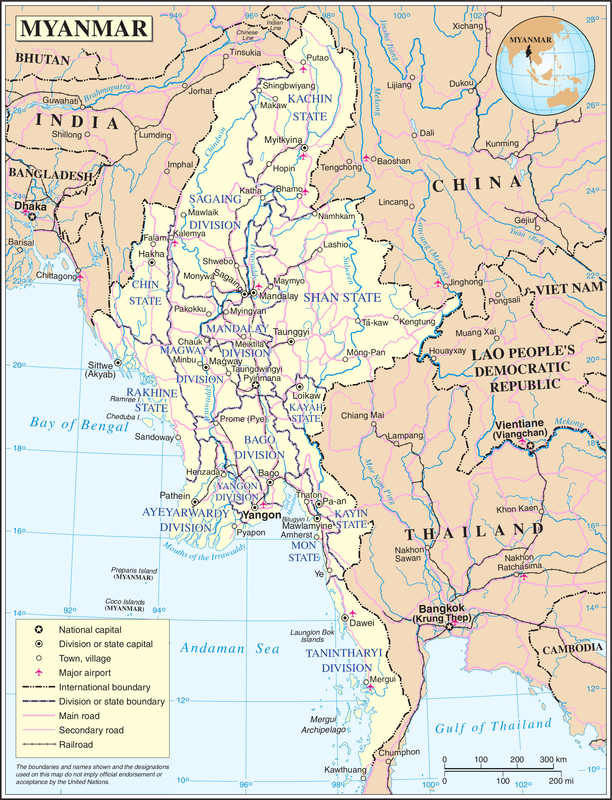 Myanmar has a Type D DRM System – Covers the full spectrum of disaster risk management: some elements of DRR, prevention, preparedness, early warning, mitigation, emergency management /response, and early recovery. Establishes specialist national institutions for DRM coordination and at least some local structures or roles. ​This is the most common type of DRM law found amongst countries with medium to high exposure to hazards that have adopted DRM laws since the mid 1990s. It is not necessarily based on a single law, but may be a mix of laws, regulations and assigned ministerial roles under executive government powers. 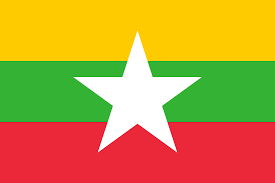 The disaster risk management system in Myanmar is established under the Disaster Management Law 2013 (DM Law) and the Disaster Management Rules 2015 (DM Rules). The DM Law and rules create the National Disaster Management Committee (NDMC) as the high-level policy body. The Relief and Resettlement Department (RRD) in the Ministry of Social Welfare, Relief and Resettlement provides secretariat services to the NDMC and implementation of the DM Law and Rules. The Natural Disaster Management Centre (within the RRD), has central responsibility for disaster information and disseminating early warnings from data obtained from the relevant agencies. The Ministry of Home Affairs and Ministry of Foreign Affairs also have key roles in their areas of responsibility. The Armed Forces (Army, Navy, and Air Force) remain primary responders in disasters and are members of the NDMC. 5. Ward or Village tract Disaster Management Bodies. The NDMC role includes spending and managing the Disaster Management Fund and the region and State bodies have similar roles and powers. The NDMC is required to establish the Disaster Management Fund from allocation from the national budget, contributions and donations from foreign countries, international organizations and “external regional organizations”, loans, other donations etc., Region or state bodies have the same budget roles subject to the national committee supervision. More detail on the DM Fund is provided in the DM Rules (DM Law Art. 19 and DM Rules Ch.XI). Although the DM Law does not mention AADMER or the AHA Centre, the law’s objectives include regional coordination (DM Law Art.3). The role of the NDMC includes national and regional cooperation and coordination with international humanitarian actors (DM Law Art.5). The RRD is the AHA Centre National Focal Point. – DM Rules Ch.X, on Communication and Collaboration with the Assisting International Actors – is also an NDMC role (not specific to regional). 2. DM Rules regulate transit in more detail Art. 50 in Ch. X Communication and Collaboration with the Assisting International Actors.